During vaginal hysterectomy, extraperitoneal uterosacral ligament suspension (ULS) bites can be taken before removing the uterus. We evaluated this modified extraperitoneal ULS for vault prolapse prevention. Study period was 3.5 years. Fifty-one women with third- and fourth-degree prolapse were enrolled. An inverted V incision was made on the anterior vaginal wall and continued as a semicircular incision on the posterior vaginal wall. Lateral vaginal mucosa was pushed up to expose the cardinal–uterosacral ligament complex. The first ULS suture, using polypropylene no. 1, was taken in the upper-most exposed area of the uterosacral ligament. The second suture, using polyglactin no. 1 or 0, was taken 0.5–1 cm below the first suture. During placement of both sutures, traction on the cervix was maintained. The cardinal–uterosacral ligament complex was clamped, dissected, and ligated 1 cm below the second suture. Vaginal hysterectomy was completed. Ends of the ULS suture were fastened to the vault via vesicovaginal and rectovaginal septum using polypropylene within and polyglactin outside vaginal mucosa. Prolapse stage was 3 in 42 cases and 4 in nine. Duration of operation ranged from 60 to 120 min. Blood loss was 100–300 ml. During follow-up (average 2.3 years) four (8.3%), cases had stage 1 pelvic organ prolapse (POP), three were lost to follow-up, and 44 (91.6%) had no POP. 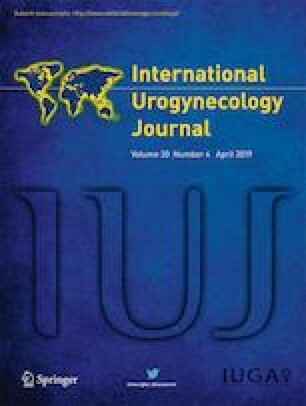 Using the cervix as a traction device is a good option when performing extraperitoneal ULS during vaginal hysterectomy to prevent vault prolapse. We express our heartfelt thanks to Dr. Ranita Roy Chowdhury, Assistant Professor, Dr. Srijoni Chowdhury, Clinical Tutor, and other members of the unit for helping conduct this study. Cvach K, Dwyer P. Surgical management of pelvic organ prolapse: abdominal and vaginal approaches. World J Urol. 2011. https://doi.org/10.1007/s00345-011-0776-y.